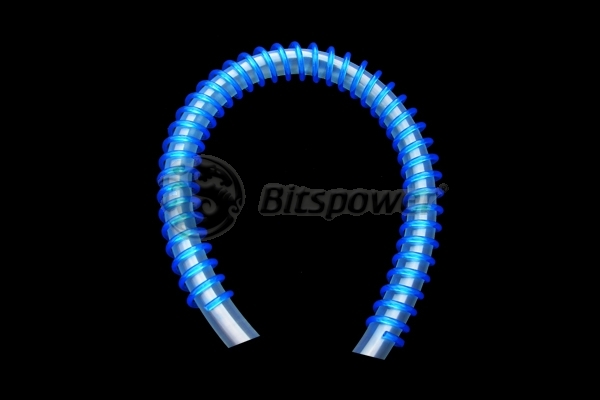 Bitspower smart coils are extruded PVC coils designed to be wrapped around 5/8" Outer Diameter tubing. They eliminate tube kinking and flattening in medium to sharp bend areas. Bitspower smart coils are shipped in precut 40" length. One length is typically sufficient for a single CPU cooling circuit depending on how tight the coils are wrapped around the tubing. Two lengths are necessary for a complete circuit including dual CPU, CPU+VGA, or CPU+VGA+Chipset setups.